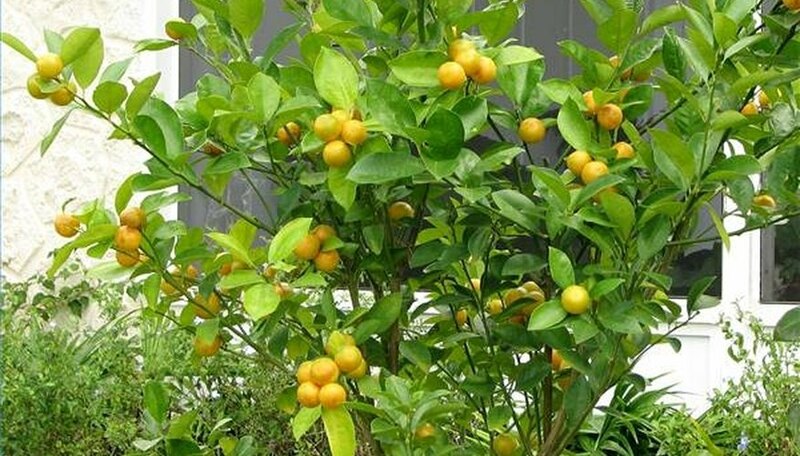 Calamondin is a citrus plant distinct for its abundant, petite gold fruits and sharply tart juice. Prolific in tropical climates and widespread as an ornamental houseplant in cooler regions, calamondin is not only a signature ingredient in Asian and Indian cooking but also a trusted natural remedy for common ailments such as coughs, acne and insect bites. The calamondin plant can stay a dwarfed potted ornamental houseplant or grow into a 25-foot tall tree. Its shiny, evergreen, aromatic leaves are alternate singles about 3 inches long. The fragrant all-white flowers have five narrow, oblong petals. The calamondin fruit is round and averages 1.5 inches wide. The very thin peel is glossy dark green when unripe, turning bright yellow-orange as it ripens. The calamondin's pulp has about 10 segments that are very juicy and extremely tart. Also known as "acid orange," the calamondin (scientific name: Citrofortunella microcarpa) is a hybrid of the mandarin orange (Citrus reticulata) and the kumquat (Fortunella margarita). Believed to have originated in China, the calamondin is currently grown throughout India, Asia, the Pacific Islands and Central America. Introduced to Florida in 1899, it quickly became popular in the warm climate areas of the United States. By the 1960s, the calamondin has become widely distributed in the cooler regions as indoor houseplants. 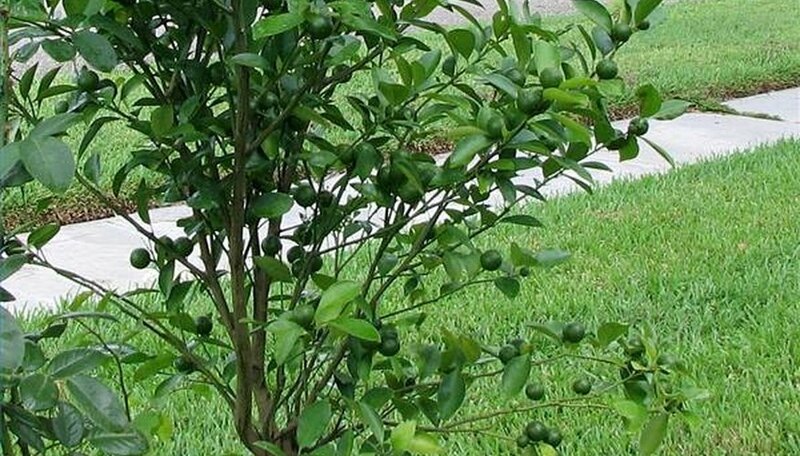 Calamondin trees are propagated through seeds, cuttings and budding. They are best grown outdoors, under full sun. They are sensitive to temperatures below 50 degrees F; therefore, potted plants grown in cool climates must be taken indoors during the winter. Calamondins thrive in clay-loam, limestone and sandy soil and start to bear fruit year-round in their second year. 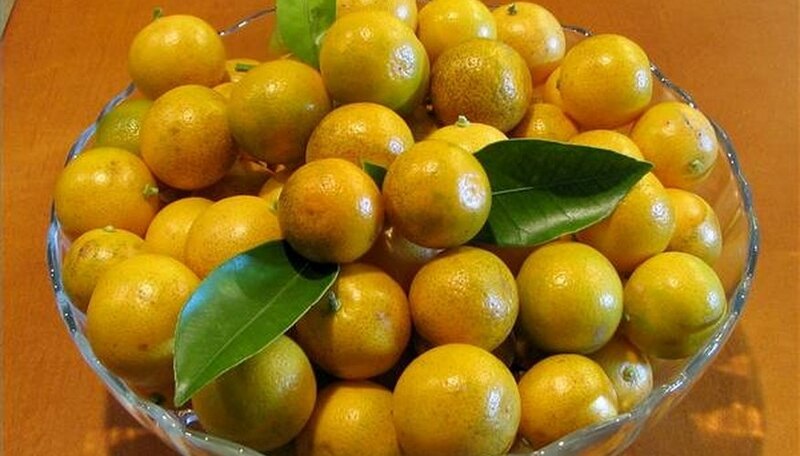 Because of its sour and acid taste, calamondin is never eaten as a snack fruit. It is usually sliced into halves and squeezed to season fish and meat dishes or flavor ice tea, gelatins, pies and desserts. The fruit is also preserved in sugar to make pickles and marmalade, or added as special tart flavoring to chutneys, curries and sauces. The calamondin's acid properties make it an excellent tenderizer in pork and beef marinades. 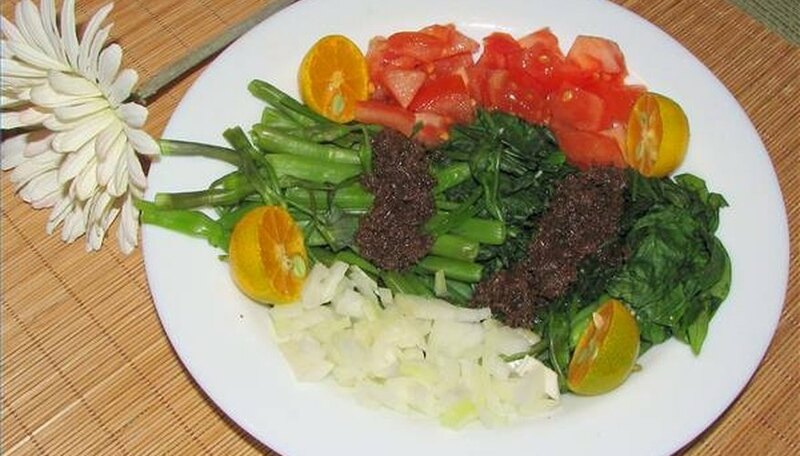 In the Philippines, the calamondin is a common cooking ingredient and a favorite dip for fried and grilled cuisine. 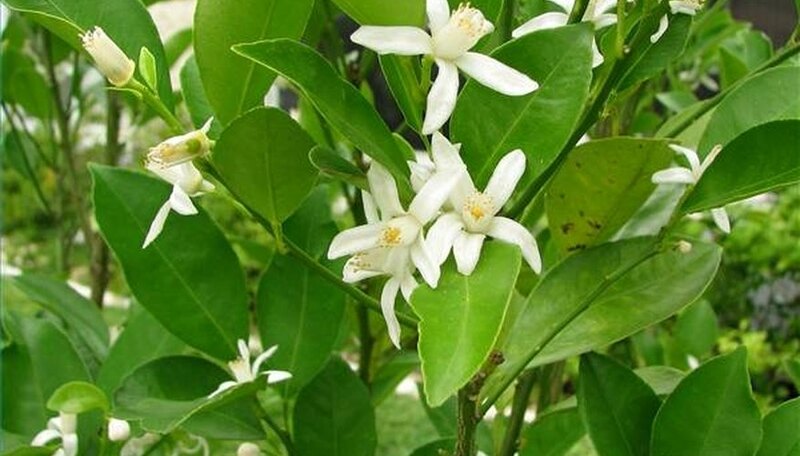 Calamondin juice has been used extensively as a natural remedy for various ailments. A tablespoon of freshly squeezed tart juice is warmed and taken orally as a cough remedy. A sliced fruit rubbed over insect bites relieves itching and irritation. The juice is also used to bleach freckles and clear up pimples. The distilled oil from calamondin leaves is used to relieve bloating and aid in digestion. Ruby Bayan has been a writer for more than a decade. She has contributed to print publications such as "Stringing Magazine," "Energy for Women," "EcoFlorida" and the "Orlando Sentinel," as well as various websites. Bayan holds a bachelor's degree in biology.